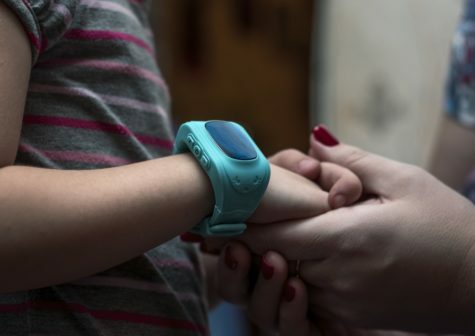 A mom gushes about how glad she is that she has GPSed her kids, 6 and 8, because now she can know where they are every second, allowing her, she says, to relax. This need to know is completely new, and obviously driven by tech. How does it change parenting, and childhood? Join the discussion at Let Grow! When I was under five I mostly stayed around the house, but I played in the front yard all the time with nobody watching. When I was five I walked a one-mile round trip to kindergarten every day, by myself. From the age of six I played all over the neighborhood and vicinity. My dad was at work, and my mom only knew I was somewhere within a couple of blocks radius. I came in for lunch and at dusk. None of this was unusual; it was the same for all the other kids in the 1950s and 1960s. Now I never see boys out playing informal baseball or football games on their own, or boys and girls doing anything outside alone. The only time I’ve ever seen my neighbors’ daughter is when she’s escorted between her mom’s car and the front door of their house. I’ve had high school seniors come to my door soliciting donations for school sports, seventeen-year-olds, and their mom is standing behind them on my porch. It’s all so weird and sad. What the hell happened? I have Location Sharing in Google Maps turned on in my eleven-year-old daughter’s phone (my wife works for a cellphone company, so phones are almost disposable for us), as well as on my and my wife’s phone. It’s not even remotely a safety or paranoia thing for us, but rather a matter of convenience. For example, we went to Six Flags last month. The parents went one way, the kids another. When it was lunch time, I saw they were in a coaster line so we met them at the exit and had lunch together. Later, one of her friends injured her ankle, so instead of texting or calling me, she looked on her phone, saw I was near, and sent another friend to get me. During the school year, parking around her school is difficult, so she walks out the door, sees where I am on the map, and heads that way. If I’m running late, she instantly knows how much time she needs to kill. I think this sort of technology is like anything else: it can be used wisely or foolishly. For us, it makes our lives easier, and, since my daughter understands what is acceptable behavior, gives her more freedom, since she doesn’t have to ask me for permission to go somewhere, she just needs to let me know if she’s going to need a ride.